I was telling a friend about Fish Pie a dish that my Yorkshire born mother in law taught me. It must have seemed unappetizing because she said it sounded horrible. This is a classic case of don’t speak about something till you have tried it! 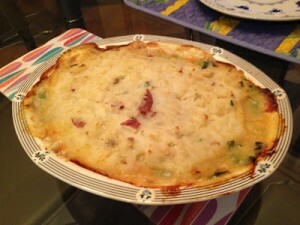 It may surprise you to know it is one of the most delicious dishes I have ever tasted. It is definitely a British dish, a northern English dish and comfort food at it’s best. 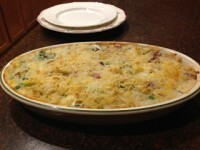 A wonderful combination of all things comforting, fish pie can be made with just one type of fish or a combination of fish types and usually has a potato topping but has been known to have a pastry crust. 1 large bunch of flat leaf parsley chopped fine. Peel, cut and boil the potatoes till tender. 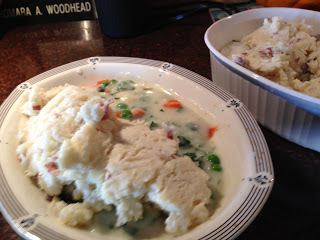 Mash the potatoes in a large bowl with a little milk and butter. Set aside. 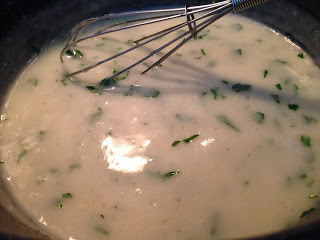 Poach the fish gently in the milk and don’t let it boil or over cook. Set aside and allow to cool. Put the fish in an oven proof baking dish. Put the milk aside. For the sauce put 3 oz of butter in a small pan. 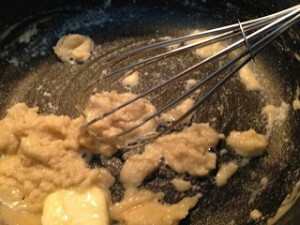 Then put a tablespoon of all purpose flour in the pan and stir with a whisk. 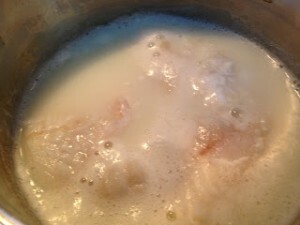 Wait till all the butter is melted and the mixture is bubbling and turn the heat down to medium. 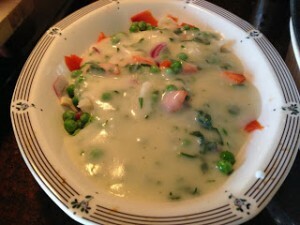 Add the milk from the poached fish and add salt and pepper to taste. 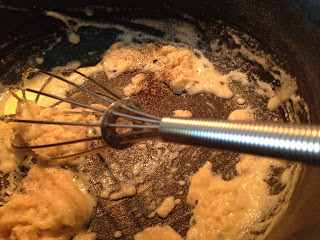 Keep whisking at a high heat till the mixture is thick and bubbling. Add the chopped parsley. In an oven proof dish put in the cooled cod and some smoked salmon and the haddock. 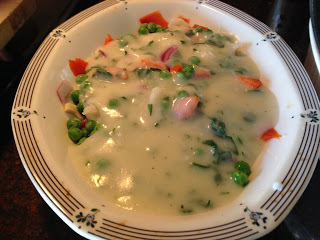 Add some chopped onions, peas and carrots. Pour the sauce over the fish in the oven proof dish. 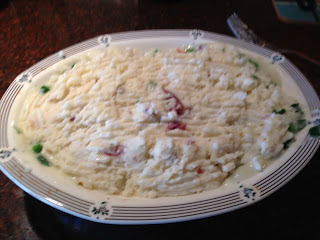 Cover the fish mixture and sauce with the mashed potatoes. Drizzle the cheese the top or you can just mix it into the potatoes. Cook in a 375* F degree oven for 45 minutes to an hour till the top is golden and the pie is bubbly. Serve piping hot while it’s hot and serve with broccoli and corn. If you want to spice it up a little serve with chili sauce.